Grease 2 Blu-Ray Released Today! Greasers the time has come and our prayers have been answered, Grease 2 Blu-ray released today! The Grease 2 Blu-Ray is on sale now! Paramount has released the Grease Collection for the 40th Anniversary of Grease. 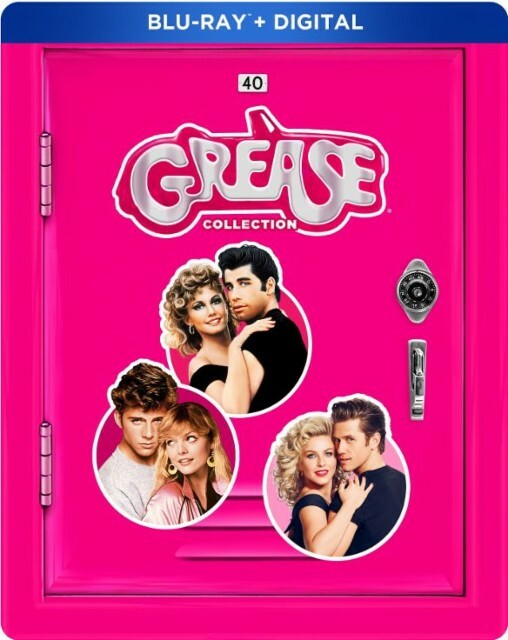 The collection contains the 40th Anniversary remastered widescreen with Dolby AC-3 Surround Sound copies of the original Grease, Grease 2 and Grease Live! Grease is back like never before in this vibrantly remastered edition! Includes New Bonus Features. Plus Grease 2 and Grease Live! on Blu-ray for the first time. The Grease 2 blu-ray released today, marks the first time in history the film has been made available in this format. Prior, it was only available on DVD and VHS/Betamax. The Grease Collection is on sale now! Posted in News & Updates	| Tagged Blu-ray, Class of 1961, Grease 2 Blu Ray, Grease 40th, Grease Collection, Grease Collection Blu-ray, Michael Carrington, Pink Ladies, Stephanie Zinone, T-Birds	| Comments Off on Grease 2 Blu-Ray Released Today!